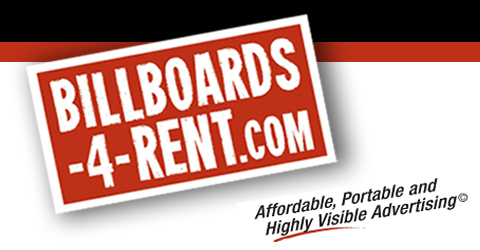 Billboards-4-Rent is not just another billboard advertisement company. We have over 12 years of experience specializing in the mobile billboard business. We are a worldwide network of billboards that are accessible instantly and affordably. Billboards-4-Rent provides businesses of all sizes with innovative advertising solutions that can be used strategically to achieve specific results. Our services offer advertisers the most effective and interactive ways to introduce your business or services to your target market. With our inventory of over 250,000 billboards, LCD Displays, and L.E.D. billboard trucks delivering your message and promotions where your customers live, work and play, it is no wonder why we’re the fastest growing billboard company around. Billboards-4-Rent provides our clients unmatched visibility in high traffic areas such as the Las Vegas strip, shopping centers, airports, sporting events, community events, and etc… Your message will be viewed by hundreds of thousands of prospects each day, 24/7 around the clock! We create an experience your consumers will see, hear and touch! Our primary function is not only to promote your name, but also to distribute your promotional items while creating a unique experience for your target market. It is highly effective when providing some form of promotional materials to consumers to help recall and react to your advertisement. We are willing to go the extra mile to help you achieve your desired results. Our services are not limited to just providing static mobile billboards, but also in custom designing and building any mobile, portable, electronic ad truck or trailer imaginable. We listen and try to understand what you are trying to achieve, whether it’s for your own business or representing a client. We will help you maximize your marketing dollars and at the same time, achieve the results you desire. We offer professional consulting services if you are looking for expertise knowledge from someone who really knows based on personal experience, a second opinion, or finding ways to execute your plans efficiently and on a timely basis. Why waste time, money, and effort trying to figure things out on your own? Speaking with someone who really knows how and what to do, will save you all the headache and money in the long run. We are open to assisting you anyway we can. This also means if you need printed large banners for any type of billboard/trailer or digital content creation for your ads or advertiser, we specialize in that too! Our ultimate goal is to help create name recognition, product awareness, and increase bottom line sales. Billboards-4-Rent services all key markets within the United States in addition to parts of Canada, Mexico and Europe.